A personal loan, as the name suggests, is a loan that can be used by an individual to satisfy any personal need. You can use it to cover wedding, travel and vacation expenses. It can also be used for medical expenditures.Â Apart from this, a personal loan can be used to consolidate debt at a lower rate of interest than credit cards usually have. 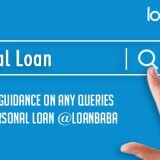 You can apply online for personal loan and scan and upload the documents required or send a hardcopy. Why is the rate of interest higher for personal loans? 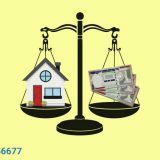 You can be granted a personal loan in India ranging from Rs. 10,000 â€“ 30,00,000/-, which makes it perfect for satisfying small or large monetary requirements. With tenure of minimum one to maximum five years, you can get sufficient time to manage your finances for loan repayment. However, if you compare personal loan interest rates in India, they are a tad bit higher than for other types of loans. The reason for this is that the lending institute offers personal loan without a collateral and guarantor and the high rate of interest on personal loan is the cost of the risk undertaken by them to grant you the loan. 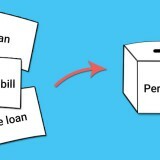 A few financial institutes offer a â€˜cooling-offâ€™ period to the borrowers of personal loan. It simply means that if you have second thoughts about applying for the loan, you can withdraw the loan application within 14 days of the original application. Once cancelled, a notice of withdrawal needs to be given in writing or verbally to the lending institute. Post this, you are granted up to 30 days to repay the capital and any interest accrued between taking the loan and its repayment. web site. Continue the best work!